Early online registration for city residents begins May 6. Regular In Person Registration for city residents begins May 14. Regular In Person Registration for non-residents begins May 15. 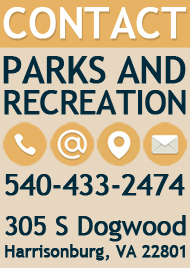 Harrisonburg Parks and Recreation is pleased to offer WebTrac online registration. 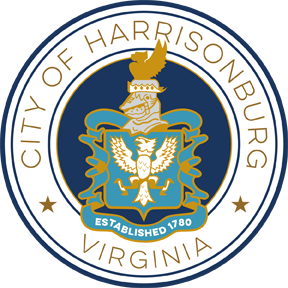 This system enables you to register online for classes and activities* offered by the Harrisonburg Department of Parks and Recreation. If you don't yet have a user name, you can still view recreation program activities by using WebTrac as a guest. However, to enroll in programs, you must have an account. If you have not registered with us before, please call 540-433-2474 or visit the Cecil F. Gilkerson Community Activities Center Front Desk at 305 South Dogwood Drive, Harrisonburg, VA 22801, to be assigned a user name and password. Verification of residency is required to receive resident rates. To enter online registration, use the above icon or visit https://webtrac.harrisonburgva.gov. For more information, please see our FAQ. *At this time, online registration is not available for childcare programs, youth athletic programs, and swimming lessons. Please visit 305 South Dogwood Drive, Harrisonburg, VA 22801 or call 540-433-2474 or use the navigation on the left for more information. Patrons may register for classes or programs at the Cecil F. Gilkerson Community Activities Center Front Desk, Lucy F. Simms Continuing Education Center or Westover Pool during facility open hours. You may register by calling 540-433-2474 to register with a credit card. Visa and MasterCard are accepted for phone and walk-in registration. For information on our classes, please see our seasonal Activity Guide on the Activities and Classes page or call 540-433-2474 for a copy.